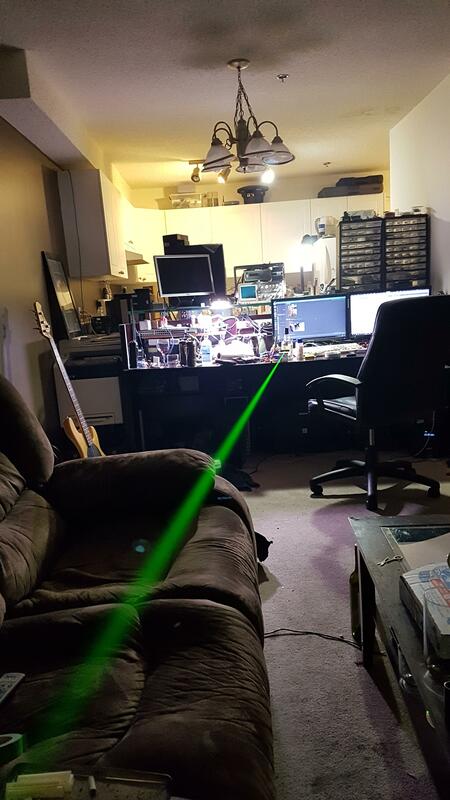 Received my tiny Osram OPS laser from eBay last week and managed to get it up and running. These things are tiny, real interesting piece of engineering. These aren't you're typical Nd:YAG/YVO4 green; they use a semiconductor chip pumped by an 808nm diode instead. The result is a very compact form factor and fantastic beam specs. 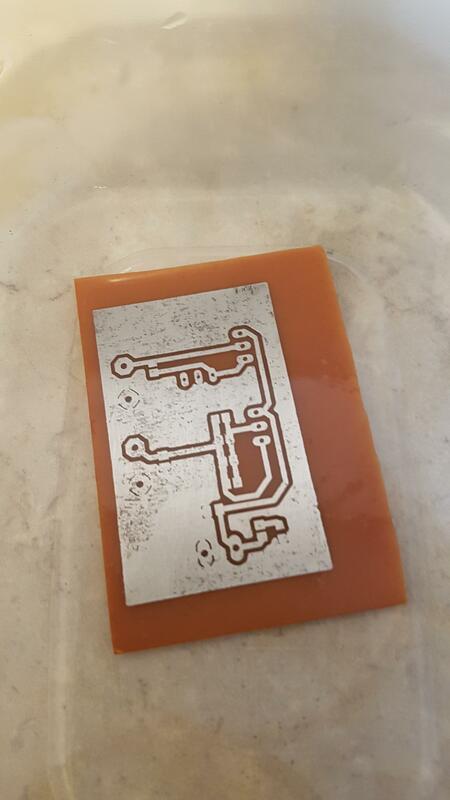 Perfect TEM00, 0.3mm diameter at aperture (4-8mRad divergence) and up to 100mW or so output power. 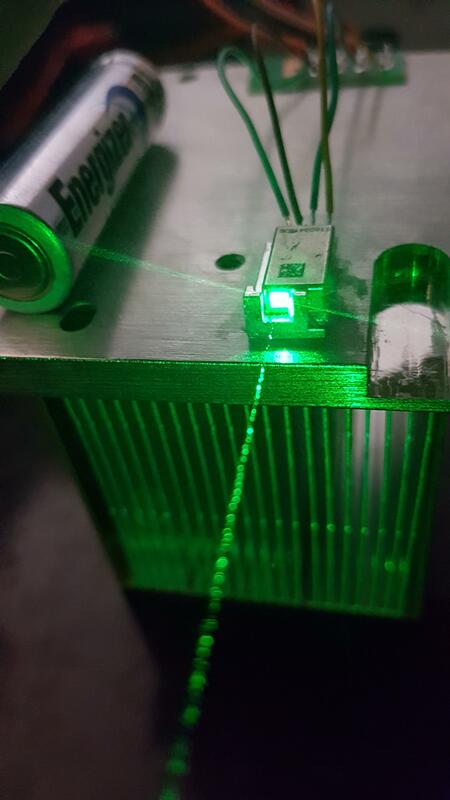 One of the nicest beams I've seen out of a solid state laser, arguably better than the beam from my old Coherent Compass 115M. Note: The labels on this diagram are somewhat inaccurate. 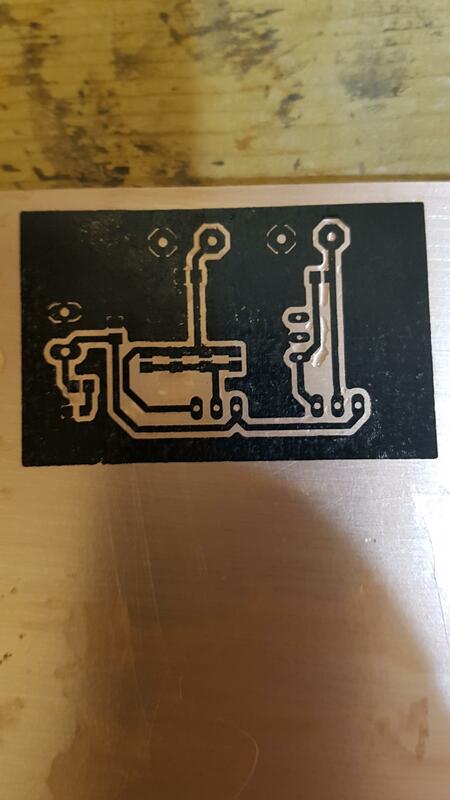 The LD is 808nm, the part labeled "DBR" is the OPS chip. Everything else should be fairly accurate. Transfer wasn't the best, but it turned out good enough the first time so I rolled with it. Etch was done using hydrochloric acid and hydrogen peroxide. 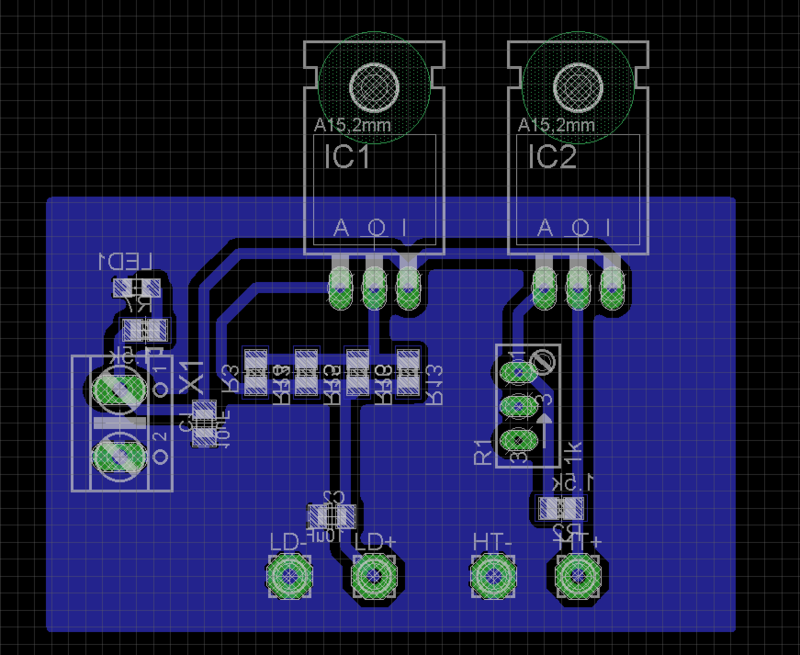 Mounted to a heatsink with flying leads and a little breakout board sort of thing. 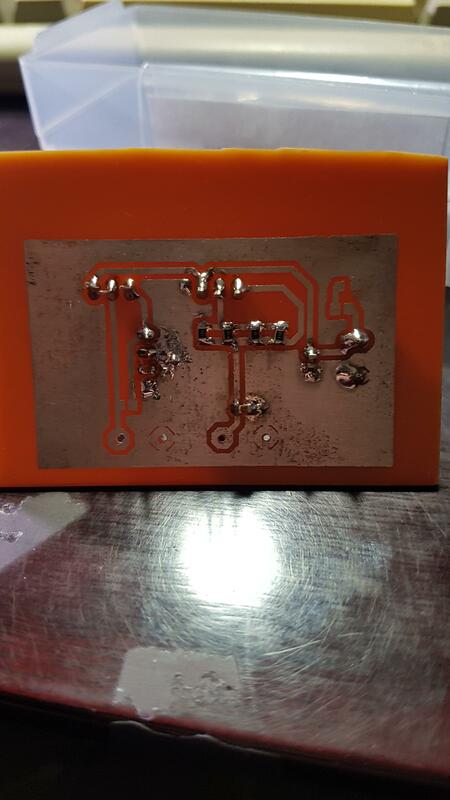 The leads from the driver were too thick to solder direct to the module, so I used this approach. AA battery for scale. Light! Fired up perfectly the first time. 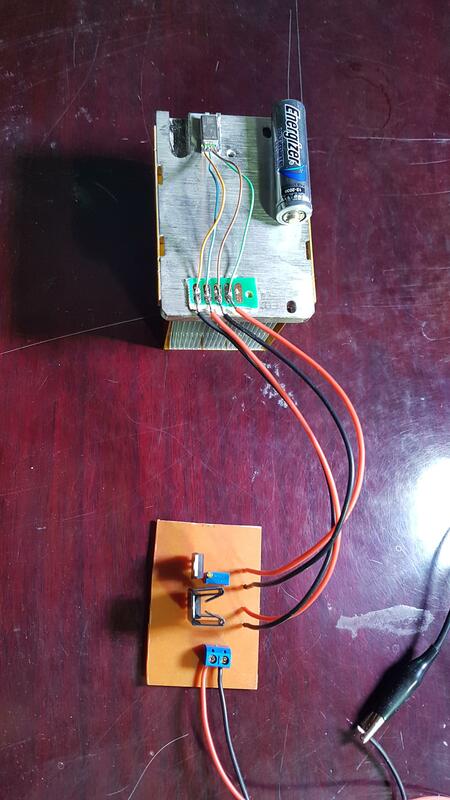 Diode current is ~365mA. Hope you all enjoyed, feel free to ask any questions! How hard is it to regulate the heater and how stable is it, any mode hop ? Yeah, would make a real nice tight beam with the correct optics on it. I didn't do any (measured) adjustment to the heater. Just hooked it up at 1.5V and let it run, seems very stable (again, not measured). Definitely don't see any changes in mode, power may be less stable but that's harder to see with the naked eye. 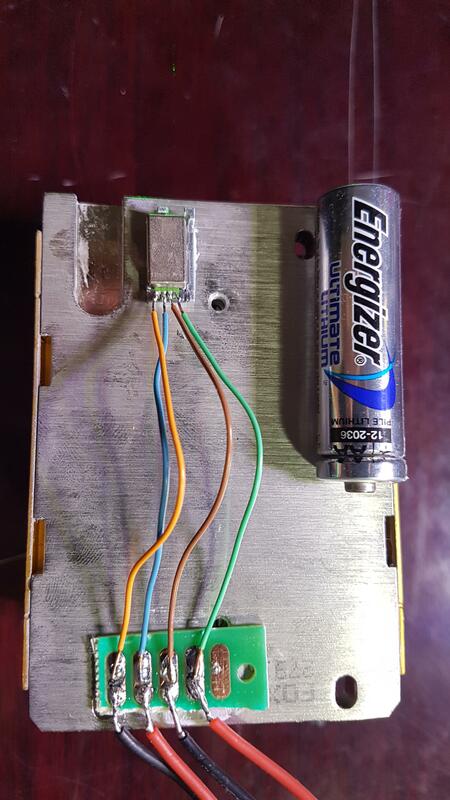 Seller suggested that the heater was some sort of "self regulating" heater, another person said that his were very sensitive to heater voltage. The datasheet seems to point to the "self regulating" explanation so I'm going with that (seems to be working just fine!). Research paper that I found said the heater needs 50-100mW, so quite low power requirements. 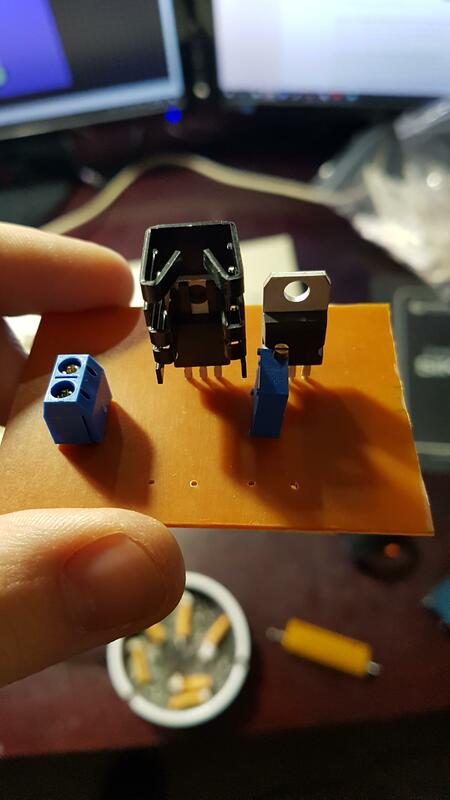 The $75 option with driver has a DC-DC converter for the heater. Looks like the seller has some left if anyone is interested. I recently acquired one of these for holography use. Mine came prewired. 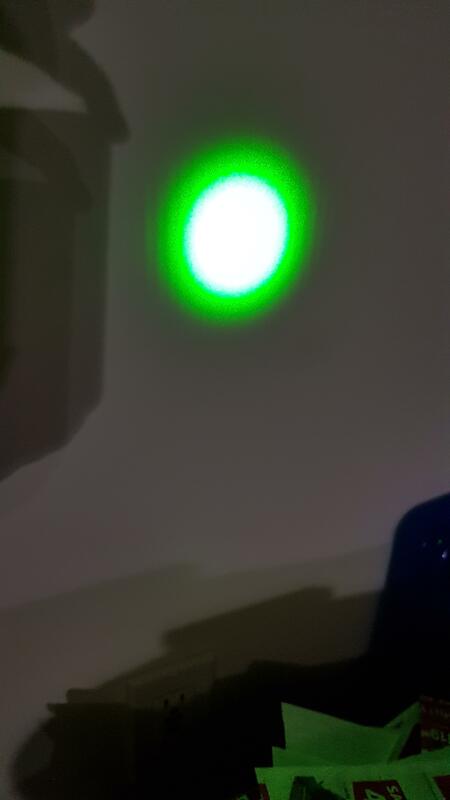 It seems to have a very good coherence length as on interferometer I was able to move mirror 18" and still get nice bullseye fringes ( ran out of room on set up to go farther). I am running mine very conservatively at about 40mW optical output. It stays cool with just passive heatsink similar to yours. Well shoot! Tried to add photos of ring pattern and interferometer... says file too large 2.8MB JPEG. I will have to figure out how to do that. I single positive lens can be used. If you're running Windows 10, I've resized using the built in photo editor. The coherence length on these lasers is said to be very long. That means the wavelength is very narrow and has a bandwidth of no more than several MHz. I see these are still listed for $35.00 each, but I really don't need one for my holography and it is not really unique enough otherwise to make me want one for my collection. 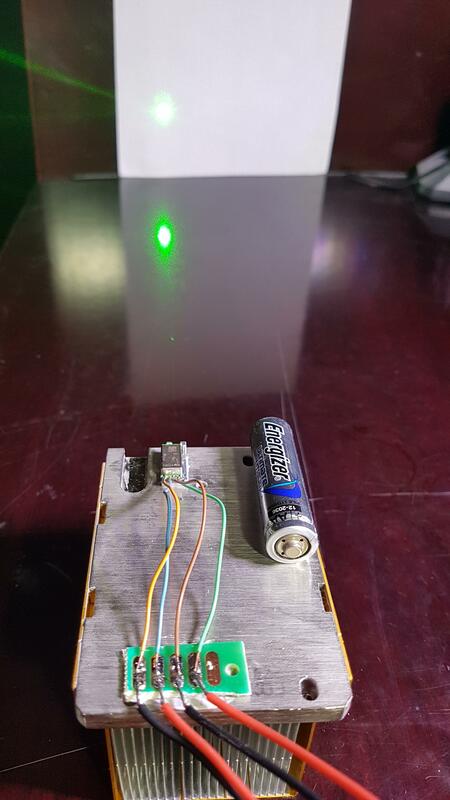 If you are planning on making full color holograms, this would be a useful laser along with a 632.8nm HeNe and a long coherence length blue laser........maybe a single line argon. Nice job setting yours up, Adam. You went into far more detail than I would have done as I normally take photos after I have proven the build will work. Thanks. Didn't have time to reply to this thread yesterday, but good work Adam. This little laser is very good indeed. The beam specs look better than my HeNe. Trying Imgur for photos. Hope this works. Look at that profile. It is very good. Anthony, if you use the lens only on the side of the beam splitter that will show the interference pattern you can get the beams to overlap more precisely. You don't add the lens until you have a single dot from both mirrors, on the wall in this case, then add the lens to see the fringes. If you have questions about setting it up this way, PM me and I can go into greater detail. That's like a Coherent Compass in your pocket. nice review! Thanks a lot for sharing! 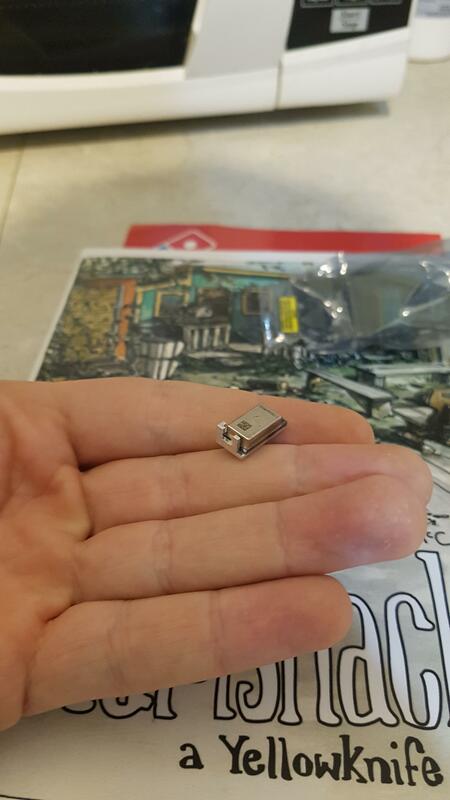 Also bought one of these tiny modules. I'm sure you won't get something like this in a couple of years from now.